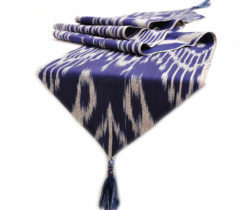 Multipurpose decoration like this should be included in your cozy home interior. 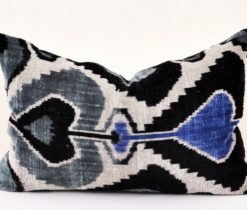 Your room balances out better when you have different levels of price and craftsmanship. 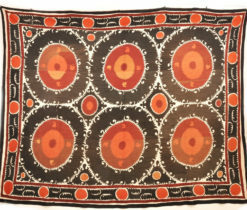 Don’t be afraid to pair your luxury finds with this antique suzani treasure wallhanging. 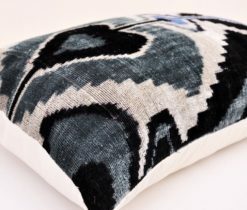 It brings life and texture to your any room. 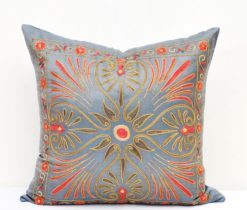 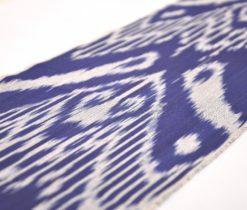 Especially, your guests would definitely like it, if you hang it on your sofa in the living room. 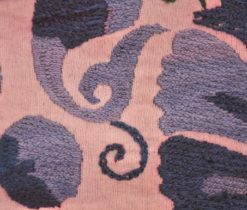 This fabric effortless blend of old and new. 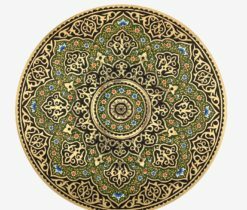 The design came beautiful and that synthesis of well – loved with the untouched created special one – of – the – kind charm. 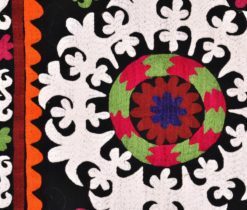 If you seek the historic home decor accent, artwork or texture to be added to your interior – suzani throw is really a good choice. 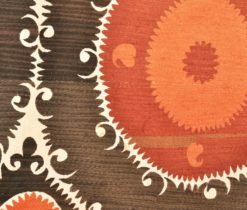 You can also upholster the furniture which will be used more as main furniture rather than a décor, with hand stitched suzani fabric for better durability and vintage look. 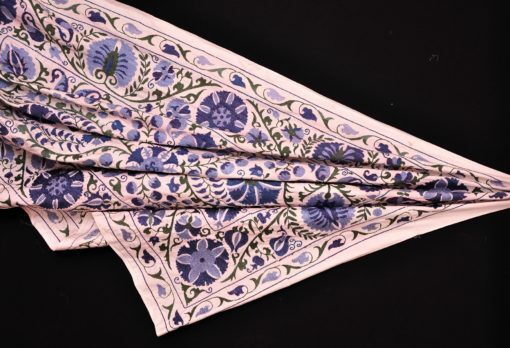 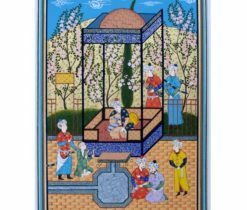 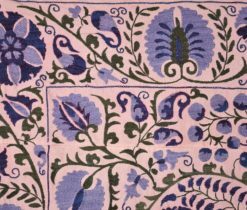 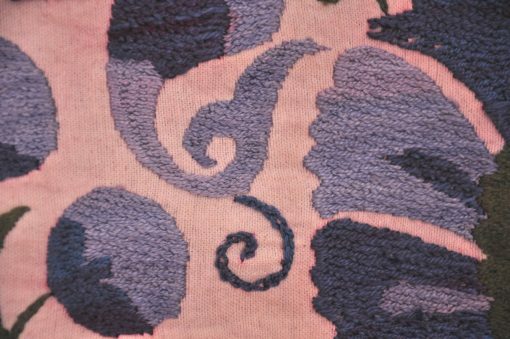 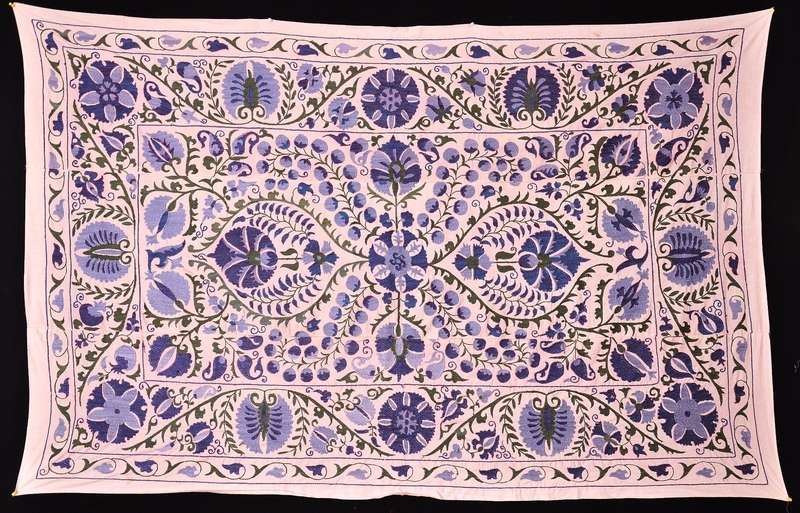 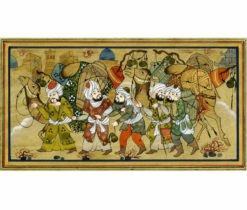 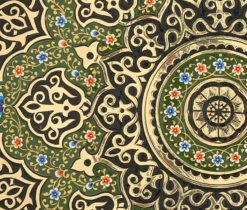 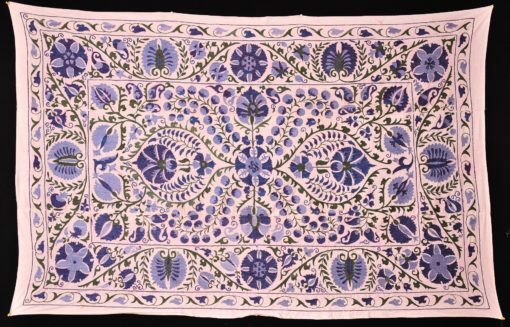 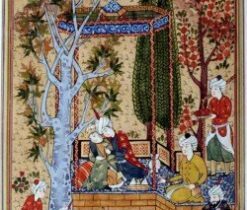 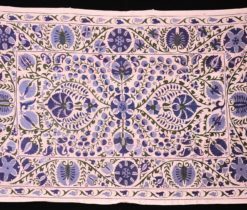 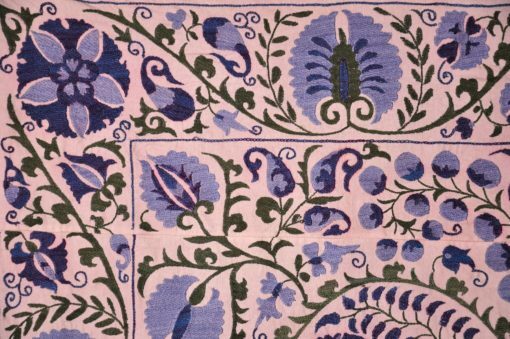 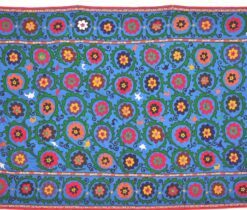 Retraced comprehensively in its domestic, stage by stage development against the background of artistic achievements and losses, the decorative embroidery in Samarkhand is just a branch of the needlework art of Central Asia. 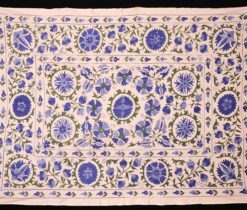 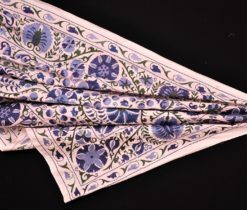 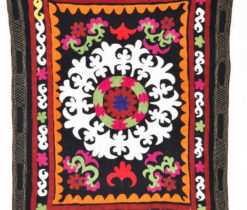 With so much in common, suzani produced in various regions of Uzbekistan had its own local distinction and hence, a combination of local types and styles.